A former employee of Chicago's Field Museum embezzled more than $900,000 from the museum over multiple years, according to the institution’s 2014 tax return, which was filed last month and obtained by "Chicago Tonight" through the office of the Illinois Attorney General. No charges have been filed due to a pending federal investigation, according to the Field’s Chief Marketing Officer Ray DeThorne, who indicated that the former employee is female, but declined to reveal her name. She is believed to have acted alone. DeThorne said the theft, which totaled $903,284 over a period of seven years, was first discovered during a "restructuring of the museum's departments and an internal financial review" in early 2014. At that time the employee, who held a non-managerial position, worked in the museum’s membership department where she frequently handled cash payments for memberships, according to DeThorne. The museum believes she repeatedly pocketed cash without recording payments in the museum’s system. Though DeThorne wouldn't specify how long the employee had worked for the museum, he said she was originally hired as a temp and that a background check was conducted at the time she was hired. The museum maintains that no public funds or private donations were compromised by the theft and no memberships were directly impacted. After learning of the theft, the museum promptly fired the employee, who admitted to stealing the money, DeThorne said. The Field then alerted law enforcement officials and conducted a forensic audit and its own internal investigation, according to its 2014 tax return. That information was then turned over to the U.S. Attorney’s office and the Federal Bureau of Investigation, according to DeThorne, who said that investigation is ongoing. The FBI is involved because the museum receives federal funding, DeThorne said. When asked why a superior wasn't responsible for monitoring the employee's handling of membership cash and why more stringent theft-prevention measures weren't in place at the museum, DeThorne said "in hindsight, there should have been." "She was a trusted employee who had been here for a period of time and I think the feeling was that she was capable of handling cash and that proved not to be the case," he said. 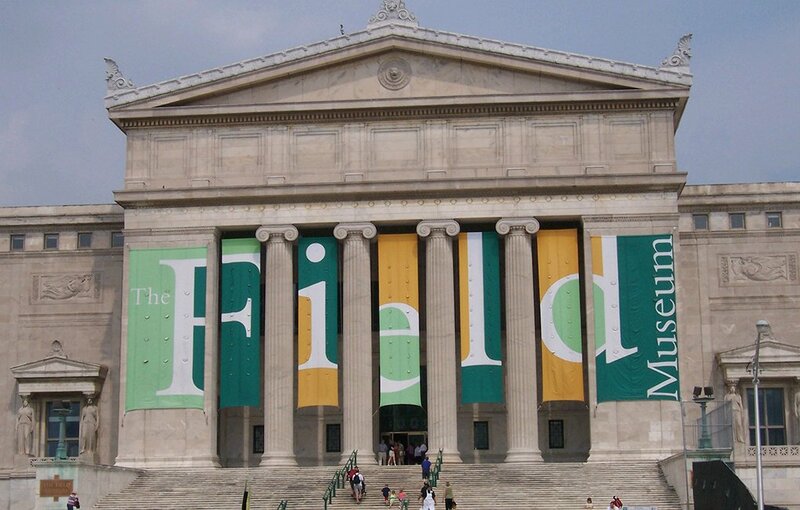 Documents: Field Museum tax return The allegations come at a particularly sensitive time for the museum, which is in the middle of a $250 million fundraising campaign that began in 2014. The museum’s Chief Financial Officer Jim Croft, who has been with the institution since 1984, is retiring at the end of December – though DeThorne said Croft's retirement is unrelated to the theft. According to the Field’s website, Le Monte Booker is now the museum’s Chief Financial Officer. Booker previously held upper-management positions at several Chicago-based nonprofits, according to his LinkedIn account. Chicago-based firm Grant Thornton LLP is currently the museum’s auditor and was in charge of audits during the years leading up to the discovery of the theft and has been since 2009. DeThorne said the firm didn’t catch the discrepancy because there was nothing within the financial books that would have raised a red flag. Since the former employee never entered the cash into the system, there would have been no record of the sale, he said. DeThorne said the museum has no plans to terminate Grant Thornton as its auditor. The Field was reimbursed for the stolen money via its insurance policy, minus a $10,000 deductible, according to the museum’s 2014 tax return. The stolen money was taken out of membership dues, which helps fund general operating costs, scientific research and educational programming. The insurance reimbursement has since gone back into the museum's operational funds, according to DeThorne. This isn’t the first instance of financial troubles in the Field’s recent history. In 2002, under John McCarter – the Field’s president from 1996 through 2012 – the museum’s board issued $90 million in bonds, a sum which has saddled the museum with debt and added millions to its annual expenses. Two years ago, the Field announced major staff cuts, ultimately eliminating $5 million from its operating budget. In October, the museum approved an admission hike, with rates for Chicagoans jumping from $13 to $16. When asked whether the missing money could have helped prevent some of those layoffs and cutbacks, DeThorne said it would not have. As a result of the theft, the Field stated in its 2014 tax return that it had implemented more "stringent controls" on cash handling – DeThorne said that means managers are no longer allowed to close out their own drawers and all drawers must be closed out in an area monitored by cameras. Additionally, any discrepancies found in the cash-out process must be immediately reported. And as to whether this incident will affect the museum’s $250 million capital campaign, the Field’s Chief Marketing Officer Ray DeThorne said he "would certainly hope not." "This is an isolated incident, it didn't involve any museum funding or any donations," he said. "We've put in place the appropriate controls. Going forward, we trust our donors and our stakeholders will continue to support us. But stuff like this is never a good situation, obviously."